Recent kerbside bin audits show that over 40% of our general household waste is made up of food scraps and most of this ends up in landfill. If food scraps are collected separately they can be put to good use and provide a whole host of benefits. Hence Council is currently trialing a food scraps collection service in selected properties. This trial will help inform Council and ensure service improvements, with the view to roll-out a food scrap collection service to all multi unit dwellings in the future. As part of Council's Waste Management Strategy 2030, Council is prioritising the introduction of an opt-in organics recycling service for all apartments and freestanding houses in Randwick City in the coming years. Find out more about our plans in our Waste Management Strategy 2030 PDF, 2551.95 KB. If food scraps are collected they can be composted and used as nature intended, for enriching soil and growing more food. 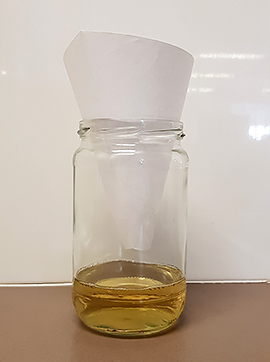 Food scraps can be processed to create Biogas which generates renewable electricity that can be used to power homes and businesses. By sending food scraps to landfill where disposal costs are rising, we're paying a premium to bury useful resources and contribute to greenhouse gas emissions associated with landfills. 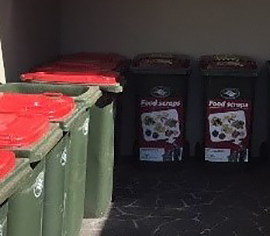 Council is running a food scraps collection trial involving approximately 90 blocks of multi-unit dwellings, making up approximately 5000 participating households. The information gathered through the trial will help us get a better understanding of the collection, processing and educational issues associated with this type of service and will be used in the development of a food scraps collection service should council decide to roll it out across the local government area. Separating your food scraps for recycling is really very easy. 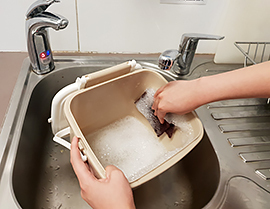 Use the small kitchen caddy and compostable bags to collect and store your food scraps. Simply fill your compostable bag with food scraps and deposit full bag in marked food waste bin. 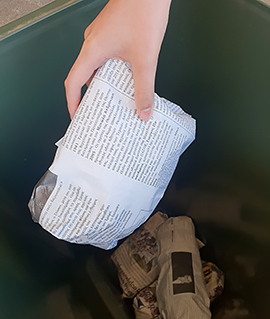 To keep smells and flies out of the bin it is recommended that fish and meat are wrapped in newspaper or similar and then placed in the compostable liner. Also, it is a good idea to put these in the freezer and place them in your burgundy-lid bin closer to your collection day. 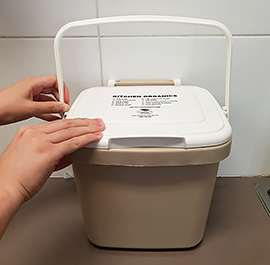 All participating unit blocks have burgundy lid bins (240L) for food scraps collection, these bins also have stickers to help residents identify what they can put in the bins. 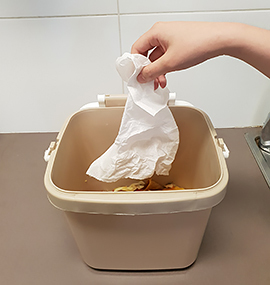 Help us collect food scraps and keep contamination out of the food scraps bin, use the red lid bin for disposal of all other rubbish and use your yellow lid bin for all dry recyclables. 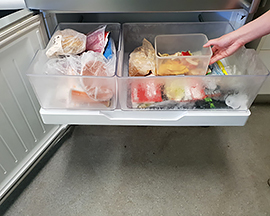 The collections can be easily contaminated so it's important to remember NOT to put any packaging, even plastic wrap or plastic bags, with your food scraps. Please follow this link to find out what services Council provides to help you recycle more. For more information please or enquiries, please contact call centre on 1300 722 542. Need help recycling food scraps? If your unit block is participating in the food scraps trial, Council has available at no cost to the resident a number of resources to help educate and inform all residents. Please contact call centre on 1300 722 542 to request resources. For those not currently participating in the trial you can avoid your food scraps going to landfill by joining the Compost Revolution. For more information on the food scraps collection trial, do not hesitate to contact call centre on 1300 722 542. Also when possible only dispose of your food scraps the night/morning before collection.